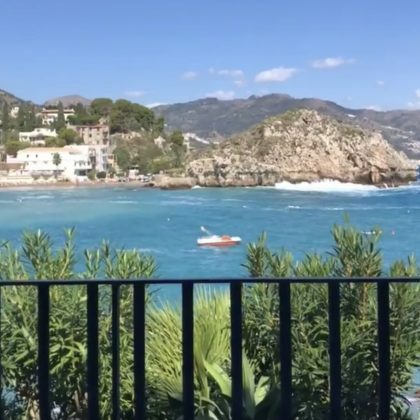 “This must be what Alcatraz feels like” is what Bob Saget said when he looked out over a fence from Taormina, Italy’s Hotel Baia Azzurra in September 2018. 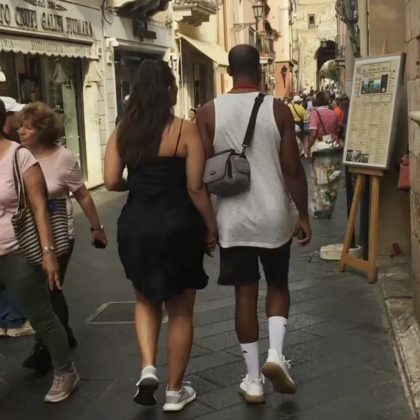 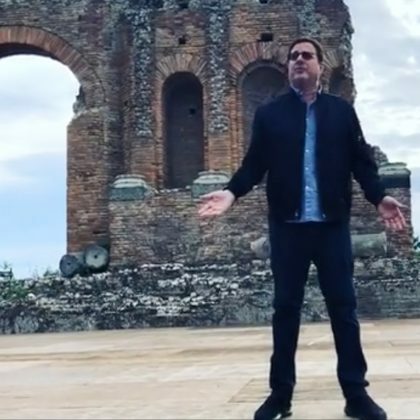 Ashley Graham and her husband were “tourists” in Taormina, Sicily, Italy in September 2018. 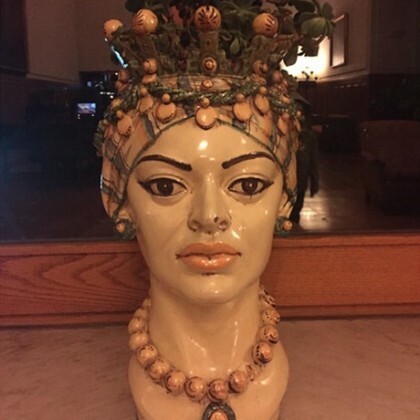 Ellen Pompeo﻿ checked in to the San Domenico Palace Hotel in June 2015 and commented that a planter she spotted would be perfect for a friend.